TAOISEACH Leo Varadkar has taken to social media to deny claims he got a free meal at the Kylie Minogue concert this week. A Facebook post alleged that Mr Varadkar and a number of guests were afforded an entirely free meal in th VIP area and didn’t tip the waitress. However, the Taoiseach has insisted there was no meal and that he paid for the drinks. 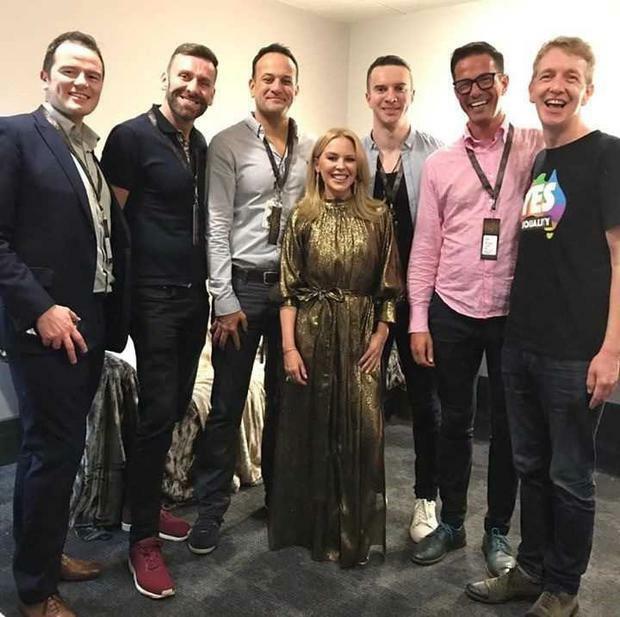 Mr Varadkar was attending the concert at the 3 Arena on Monday night with partner, Matthew Barrett and a number of friends and was pictured backstage with the Australian singer. “I’ve been made aware of a post on social media saying I had a free meal at a concert the other night. This is not true,” Mr Varadkar said. “There was no meal, we only had drinks and I paid. “I have the receipt to prove it too,” he added.